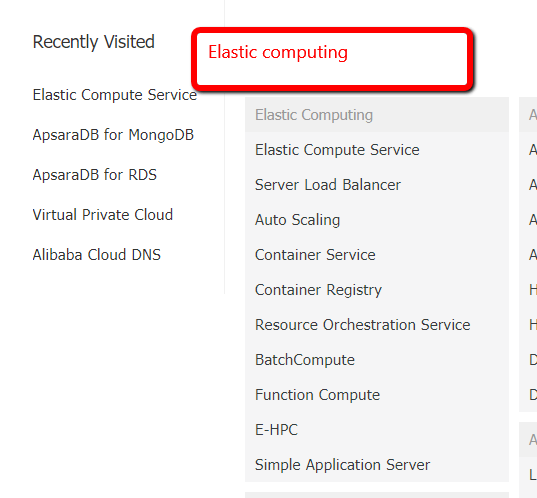 In the last post, we reviewed the ECS (Elastic Computing Service) Of Alibaba Cloud. Now, In this post, we will try to create our first SQL SERVER windows server within a few basic steps. Here the best part is you can go with either PAY-AS-YOU-GO or monthly subscription and choose any operating system, configuration depends upon your need and budget. Prerequisites:- You should have Alibaba Cloud account. Once you sign in with your username and password then follow below steps. Step 2:- You will get the Dashboard screen. 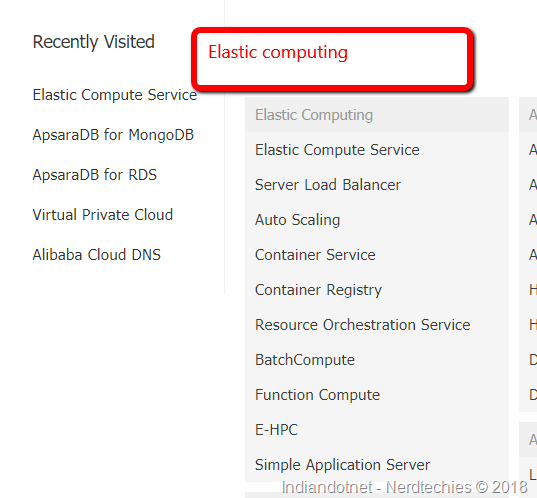 Here You have to click on Products and select Elastic compute Service as shown in below screen. Step 3:- You will get below screen where you will find your existing resources in the specific region in the middle. We can also view all existing instances from Instances menu option on the left-hand side. so just click it. Step 4: Here as you can see below on the screen. You will get the list of all the instances as a tabular list in the middle. You can change the region from the upper left option of the region. As we have to create a new instance of Windows server with SQL SERVER configuration so just click on Create instance as shown in the above figure. Step 5:- As you click the button you will find the below screen where you can define your own configuration & operating system from the available list. So, let’s start from the top where you need to select the Billing method which could be Subscription basis or Pay AS You Go basis depends upon your need you can avail this. In the next step, you have to select the region. Which is again depends on your product need. For example, I am in India and creating a product for Indian Market so, I have selected Mumbai region (Asia). After selecting the region you have the option to select the CPU and RAM. Just to let you know here if you go for Subscription basis then there might be some extra option for CPU or RAM. here in our example, we are going with PAY AS YOU GO option so we have some less option for CPU but it is more than enough. Step 6: Once the CPU & RAM is finalized in the next step we have to choose the operating system. Here we have a public image, custom image, shared image & Marketplace image option. As most of the time Marketplace have an image which we required so we can use as is if required else we can create a public image or use other option which is available. So, just click on Select from Image market. when you click this option you will get a pop window with various pre-built image option where some of them are free and some of them are not free. For the current demo, I am using a free image as shown in below screen. Now, It again depends upon the cost and performance matrix which one would you like to have on your machine. I am selecting ULTRA cloud disk 40 GB for the demo. Step 8:- Now once this is done in the next step you have to check the Network billing method. Here you have to define network bandwidth depends upon your need. Apart from this as you can see for security reason you can open or close the port as per your need. some common port configuration can be done here like 80,443 etc. 1) You can save the current configuration template which you can launch later if required. 2) You can configure the release of the resource as well for example the current configuration which I am doing will be autorelease at the specific time. Step 10:- Once you have done with this step and accept the term and condition you are good to go and you will be redirected to Instances page. 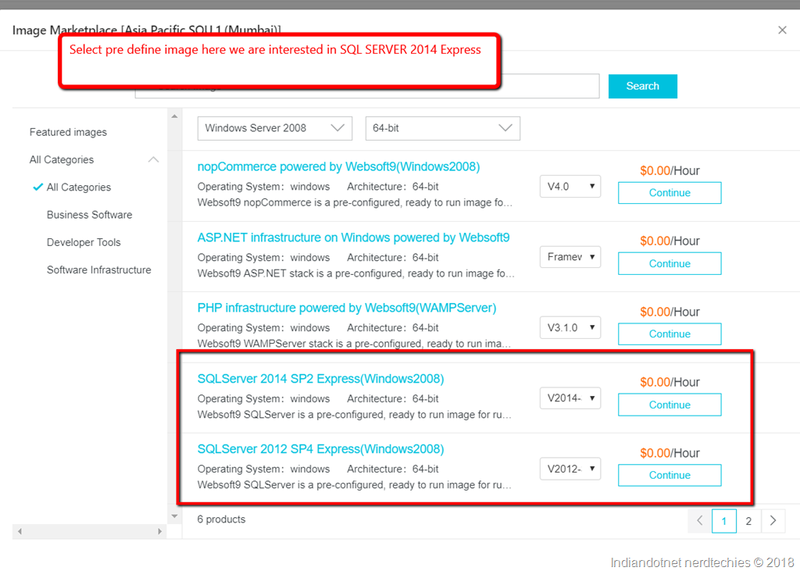 Here you can see your recently, created instance is available. Once it is started. In the next step you can access the machine, by clicking more option, apart from this you can reset the password and release the resource at any time. 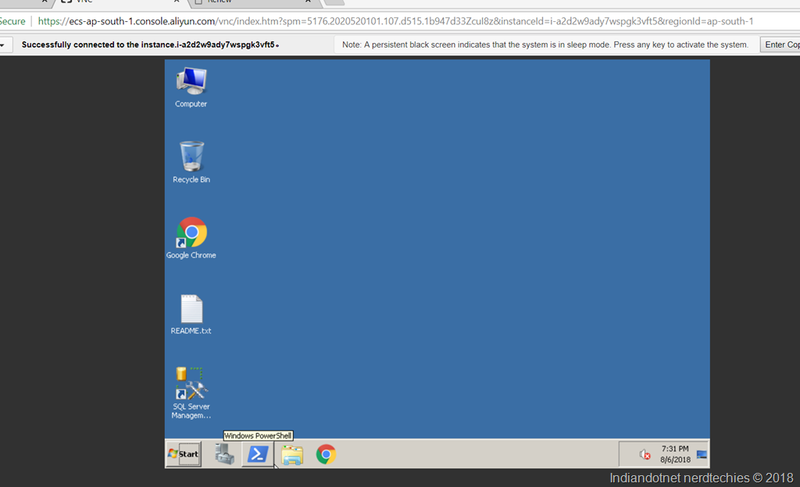 Step 11:- Just click on connect and provide proper username & Password which you set for VM. I hope you enjoyed the setup of the machine in 10 easy steps. In the next blog, we will see something more interesting in Alibaba Cloud. In our step by step tutorial this is our next post in which we will see how to avail your free .TECH domain with Alibaba Cloud computing. Apart from cloud services Alibaba Cloud Computing also sell Domain names which we can avail with minimum amount. 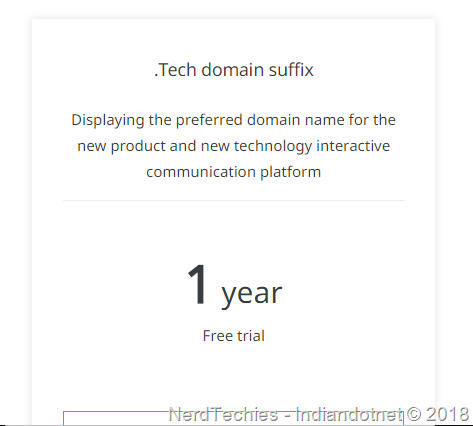 A good news is that you can avail .TECH domain free for 1 year. Below are the steps. Step 3:- Now you have to search your domain name which you want . If that domain name is available then you will find in below list. Just select the checkbox in front of the domain name. In the current demo we are going for a free domain which is .TECH and luckily Indiandotnet.TECH is available. So, I am selecting that and clicking on AddToCart button. After clicking the we will get following screen. you have to register for domain which is required for domain ICANN. You will find below notification if you have not registered. 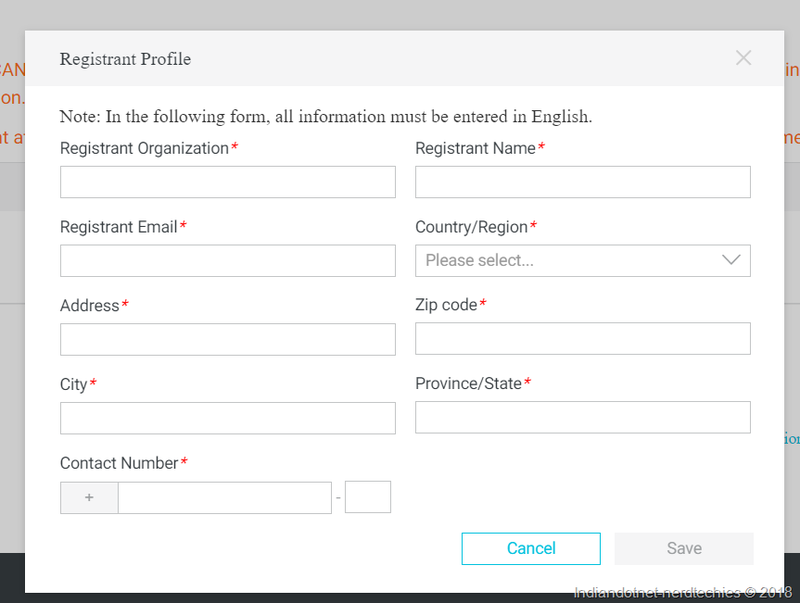 Step 5:- Simply create registration profile to proceed further and you will find below screen of registration. One point is to remember here the information like registration email and contact number should be valid. Once your email is verified then only you can place order. Step 8:- Just click on Pay button and you are will find confirmation screen as shown below and congratulations you avail 1 year free .TECH domain. Now , it might be your next question now where we can find this domain . Apart from free domain other domain also available in very cheap price which you can try. I am pretty much sure will try the free domain and buy new domains going forward.